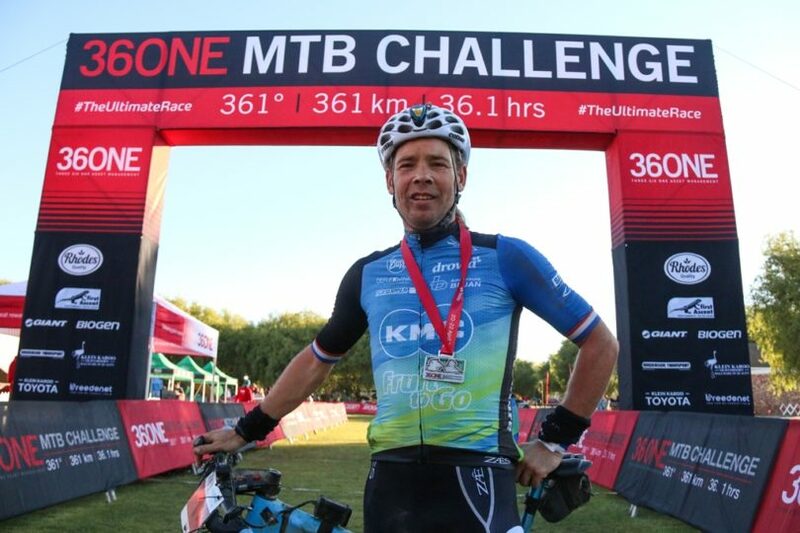 Ramses Bekkenk and Jeannie Dreyer rode to dominant victories at the 2018 36ONE MTB Challenge in Oudtshoorn on Saturday, the 21st of April. While Bekkenk started fast and missed out on the course record, Dreyer paced her race to perfection; finishing strong to smash her 2015 record by half an hour. 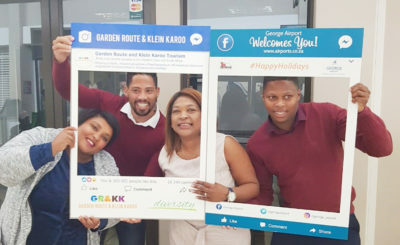 In the other categories, the relay race was won by Yolande de Villiers and Jacques van Staden, while the team race was once again claimed by Craig Edwards and Dane Walsh. 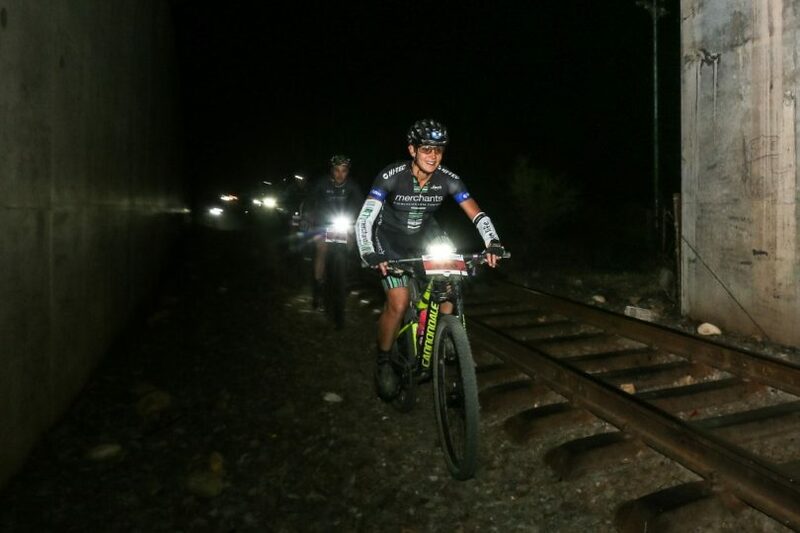 The Half distance, 180 kilometre race, was won by Raymond Odendaal and Isabella du Preez respectively; with last year’s second place finisher in the fulll 36ONE, Bennie Viljoen taking the inaugural gravel bike title in the half distance race. By saving energy for later in the race Jeannie Dreyer was able to finish strong and shatter her own 36ONE course record on her way to the 2018 title. Photo by Oakpics.com. Ramses Bekkenk (far right) managed to complete the course in a time of 14 hours, 5 minutes and 19 seconds despite only riding in a large group for the first 30 kilometres of the course. Photo by Oakpics.com. “Three of us, Dusty (Day), Kevin (Benkenstein) and myself, made an early break. Then at water point 4 (128 kilometres into the race) Dusty had a mechanical. 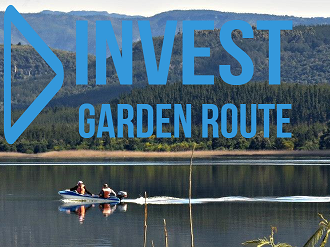 Kevin and I decided to go together to the foot of the Rooiberg Pass but at the big river crossing before the climb started I realised I needed to increase the pace. Kevin said he was finished and so I rode the rest of the way on my own”, Bekkenk retold how the race unfolded. “On the Rooiberg Pass climb I struggled for rhythm. So when I got really tired after check point three (at Catlitzdorp) I knew there was no chance of breaking the record so I took a quick one minute nap to help me maintain my concentration to the finish”, the two-time champion concluded. 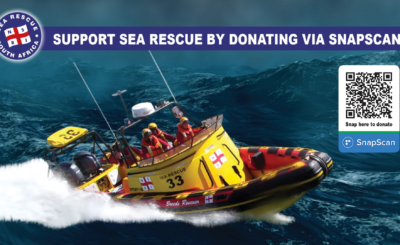 Slower finishers meanwhile are expected to continue crossing the line well into Saturday night, with the final finishers likely to take well over double the time of Bekkenk to complete the 361 kilometre route. 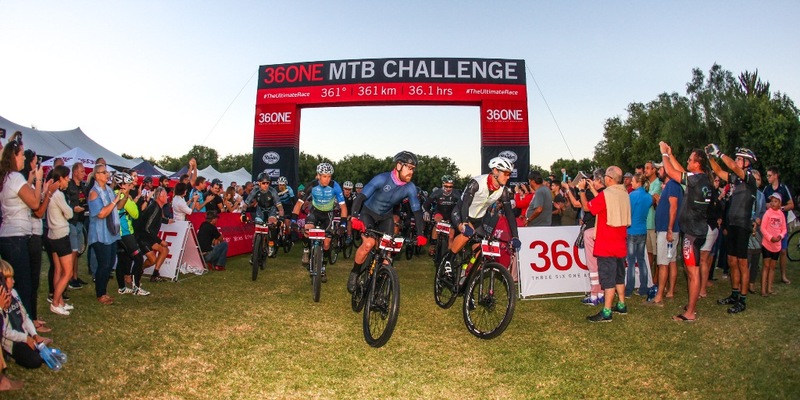 For the full results from the 2018 36ONE MTB Challenge please click here. 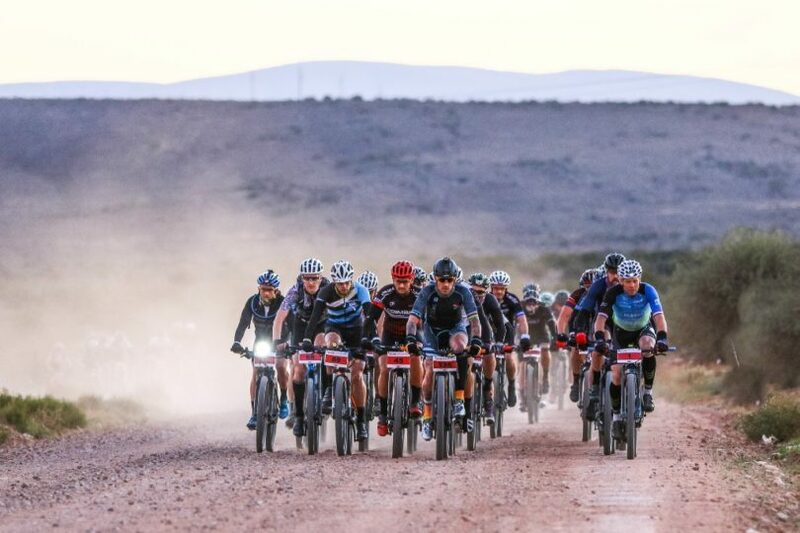 CAPTION: Kevin Benkenstein (front and centre) was the first South African across the line as he was rewarded for a long and particularly arduous day on the bike at the 2018 36ONE MTB Challenge. Photo by Oakpics.com.